This package contains one (1) Mini Sticker Tablet. Inside you'll find twelve (12) - - 4"x6" Sticker Sheets. 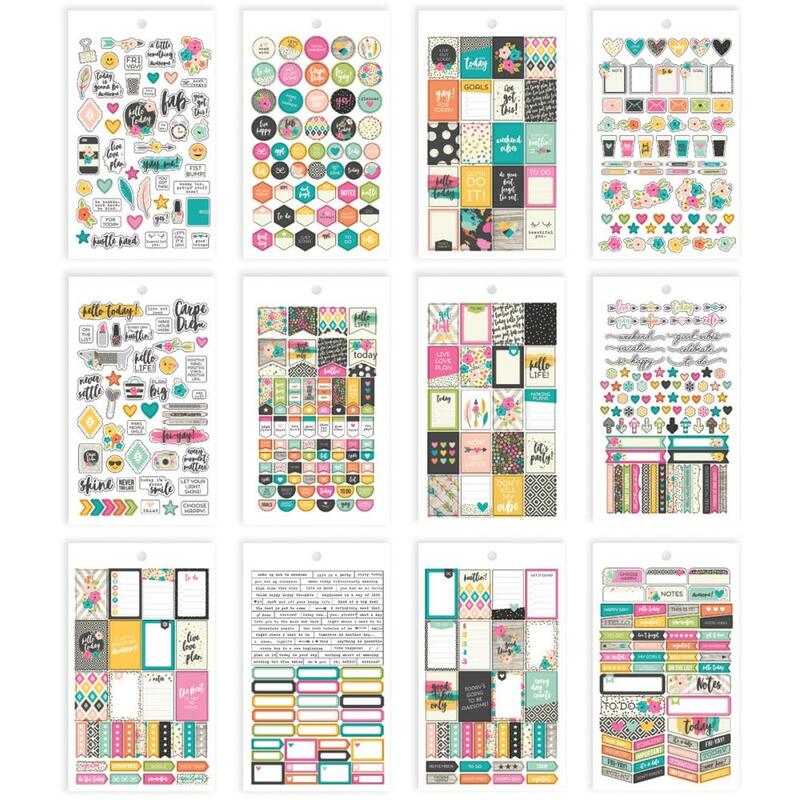 Perfect for your Personal Planner or making cards. Part of the Carpe Diem Collection by Simple Stories.